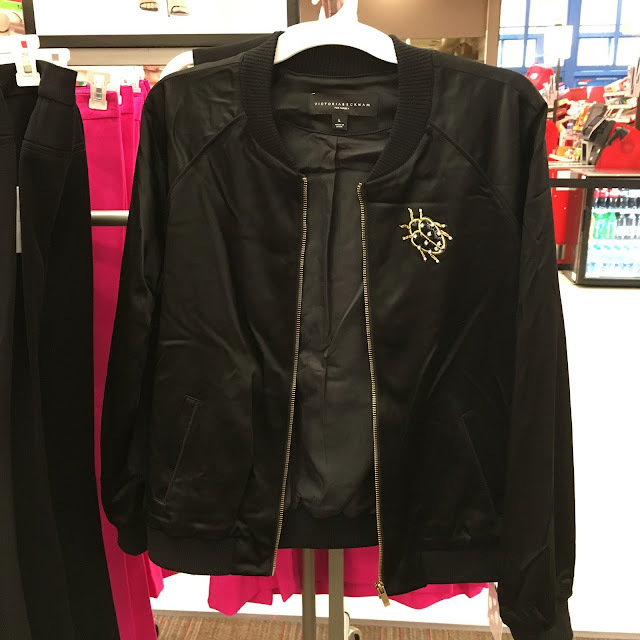 Tracy's Notebook of Style: Victoria Beckham x Target Store Pics + Review! 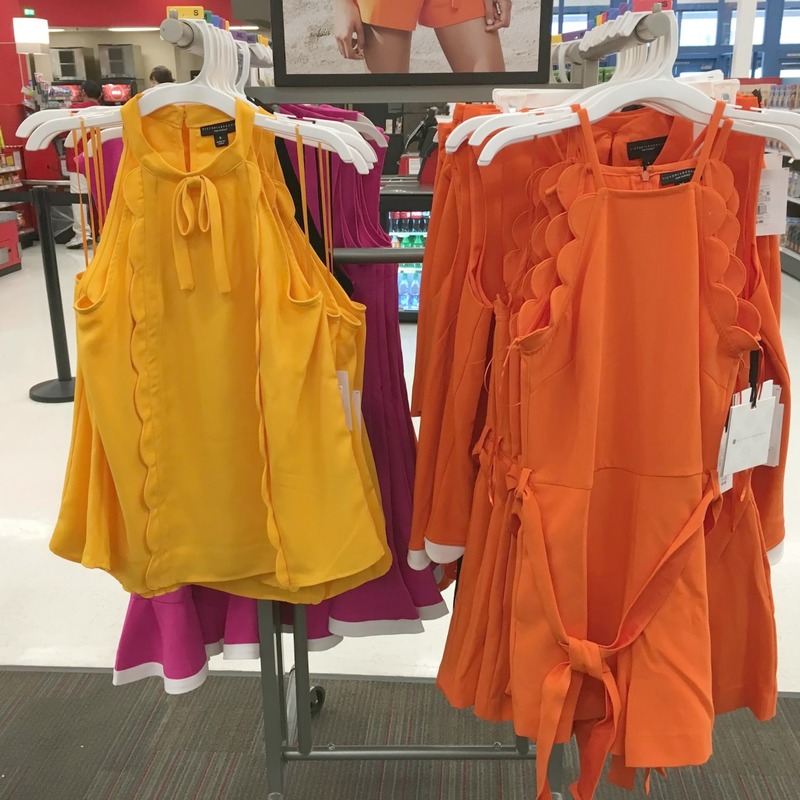 Victoria Beckham x Target Store Pics + Review! The Victoria Beckham x Target collaboration turned out to be one of my favorites! Since the lookbook for me was a bit of a letdown, I'm happy to report there are some must-have pieces worth hunting down. Target continues to update and restock a few items here and there, make sure you check daily if you have your eye on something. My Target store opened at 7am (an hour earlier than usual thanks to Walmart opening nearby) and since not many people were aware of the time change, I was able to check out the collection with only a few other customers. I knew the moment it hit 8am though as I became trapped in a sea of shoppers in a very short time, granted the set-up wasn't that large and this particular location actually carried everything in the collection (except for the "online exclusives" of course). Two of the signature pieces that sold out fast! Online shopping this time around went so smoothly, it didn't even seem like a Target launch LOL. I'm hoping they continue adding links to the items before it officially goes live at midnight (I always feel bad for the East Coast shoppers) because I only spent a few minutes shopping and checking out. While not every piece is wearable on a daily basis for everyone with the bold colors taking up half of the collection. I was impressed with the overall collection, the fabrics and style were a step up from the last few collaborations, especially with the price points being more affordable. Most items ran true to size, although there were a few that ran really large, while several of the dresses were snug on the hips (was this because of my love for croissants? I'm not sure). The stars of the show were the kids and baby collection, there is some major cuteness going on! Everything would make for sweet baby shower gifts or Easter outfits with matching Mommy & me looks. A few people were asking me if I thought the collection reflected Victoria's high-end label? Yes and no, the clean lines and solid colors, along with some of the dresses really do look like pieces I've seen her wear from the Victoria collection. I think for a Target collab, this was one of the best, it's always fun to snag a few pieces from a designer brand you wouldn't normally be able to afford. 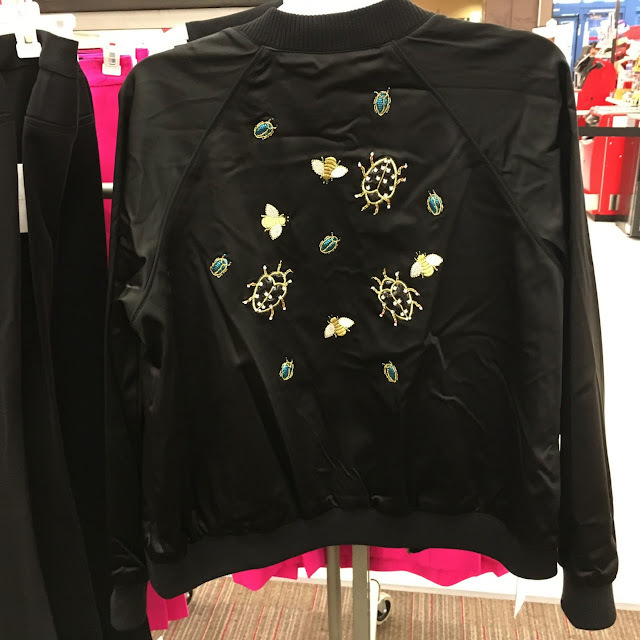 What did you think of the VB x Target - did you buy anything? Scarves sold out within minutes, I was lucky to get a photo. I hope they restock so more people can order one. This ran slightly large, depending on how you plan to wear it. I actually ordered both sizes and even in person, I couldn't decide in the store. Now that I see this retro style top $26 again, I like it even more! I have mixed feelings on the gingham top $30. I haven't decided if I'm keeping it or not, it was huge on the bottom half, but seemed slightly tight on the shoulders/neckline, however I have broad shoulders,Another try-on will be needed. This was really pretty and the details were perfect. I couldn't justify buying another sweatshirt, but if you can, pick it up! I absolutely loved this dress, the shade of pink is gorgeous! 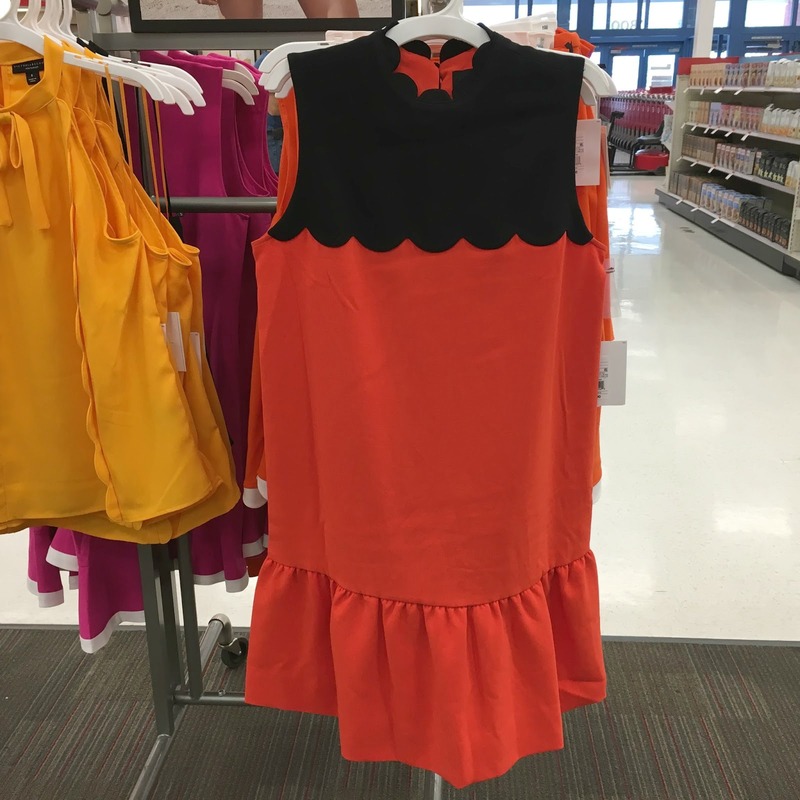 it looks like a quality dress that would sell for much more than $35! here's where I wish they made them in petite sizes too, they were beautiful though! If you want one item in a bold color, this is a nice option for only $26. Very retro pieces, I do like the scallop details. were exactly version in the "adult" styles, they were all so darn cute! from a chic prison, haha. I loved the stripes and the thicker material. You can wear this a variety of ways, style it with a belt or dress it up with fun pins! The white blouse $30 on the left was beautiful and flowy, makes me wish I would have ordered it. It's an elevated basic and reminds me the most of something Victoria would actually wear. too bad this wasn't in a different color, because it had potential. Beautiful Easter dress or to wear at any celebration this spring/summer. I didn't try this on, but I did hear their were issues with the zipper. you could dress this up for work or with denim for a casual look. I may go back to try it on, could be a fun piece to style. get out of them past Easter, although I do wear other animal prints throughout the year. I saw two adults trying the kids sweaters on and the XL fit them without looking silly. but that's a personal style choice, otherwise they are true to size. I hope I can find these on clearance, they were the prettiest "dressy" shorts. plus the mint jacket looks like it could get easily snagged or looked "worn" after a few washes. Tip: If you are a petite adult, you cold probably fit into the XL in the girls dresses. Where is the adult version of this romper?!! the colors seemed a bit out of place with the rest of the kids/baby style. I thought this raincoat was so cool and it seemed to be a hit with the kids. 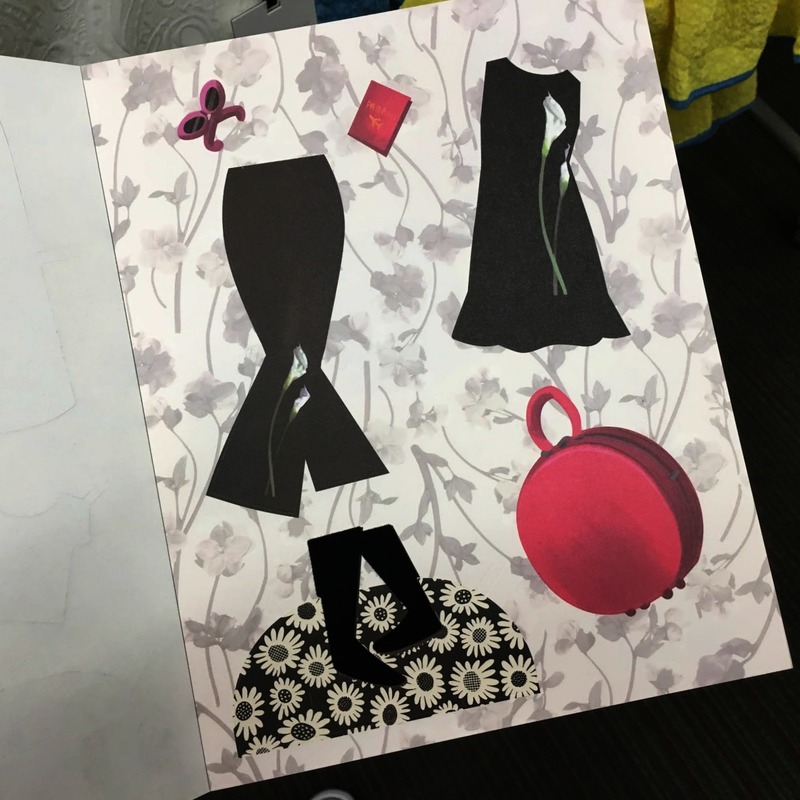 This paper doll book was beyond adorable!! The $70 embellished bomber jacket! This sold out after an hour since they only received one of each size. The employee bee t-shirt everyone wanted! Whyyyy didn't they make this part of the collection, sad face. 14-day Return Policy, 30 days for REDcard holders! I do not see it in the Cartwheel App as suggested, text STYLE10 to 827438 if it's not coming up. Wow, your target is so well stocked! I figured out how to deal with the zipper issue on the Black Floral Satin Dress. I went to a larger Target for this collection, I was lucky enough to see almost everything! Glad you figured out the zipper issue because the dress was gorgeous! Haha, you might find that dress down the line, I know you wold love it and style it to perfection! Old Navy $5 Graphic Tees + under $60 J.Crew Bag!